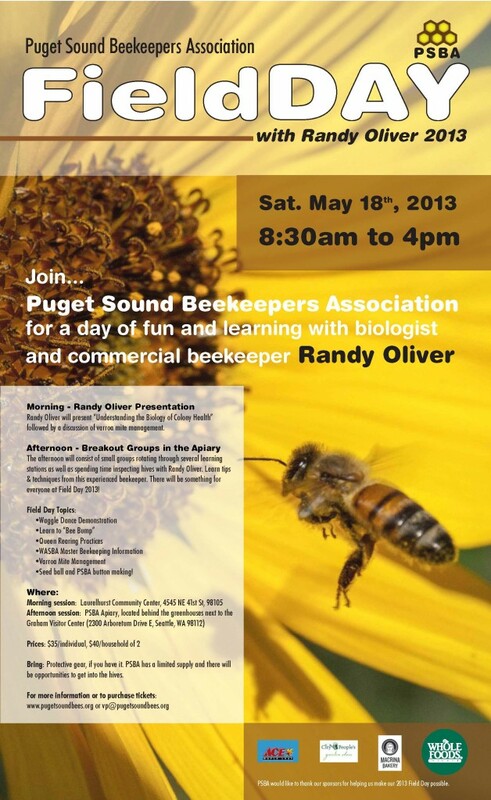 PSBA’s 2013 Field Day will feature both a morning indoor session and an afternoon outdoor session in our apiary; both sessions will feature Randy Oliver (www.scientificbeekeeping.com) as well as other speakers and learning opportunities. This session will consist of a presentation by Randy Oliver followed by a Q & A session. Lunch will be provided. This outdoor session in our apiary** will find attendees breaking into small groups which will rotate through a variety of activities. Please note, to cover the PayPal transaction fee, an additional small fee is added to purchases charged via Paypal. If you would like to pay by check, please download this form and mail completed form with payment.